E' caduto rimanendo perfettamente in verticale dov'era, con il suo blocco di cemento alla base! 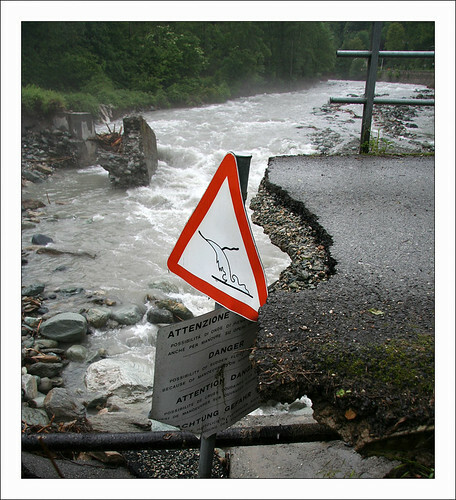 After last flood that destroyed half of the small bridge It was amazing to see this warning sign of the electricity company saying "DANGER - possibility of sudden flood waves also because of manoeures on hydraulic plants"... it was perfectly vertically collapsed on its place! !